A volunteer community group aimed at protecting farmland led to the creation of the not-for-profit Rondout Valley Growers Association, Inc. in 2002. It was wonderful to find design skills could help in the mission to strengthen local farms, and Fabia continued working with RVGA until 2014. One of the first projects, the logo, was remarkably fun—primarily because of art direction by the incorrigable, cantankerous and fabulously talented Joe Eula­—typically given in Davenport’s parking lot standing next to his truck. Over the years we created several billboards. Some were professionally installed on official billboards, like the one above, of Gus Sahler, photo courtesy of Alice Schoonmaker and family. Others were handmade the farmer way, on a doctored old wagon pulled by a tractor. 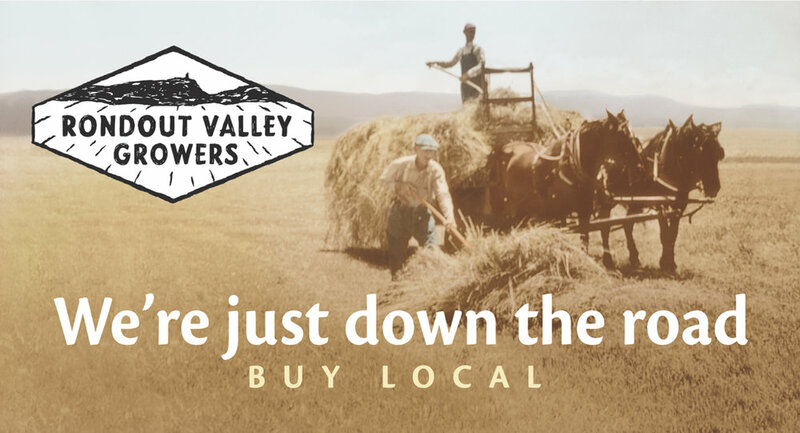 As RVGA president Bruce Davenport said, “farmers may not have a lot of money (to pay for billboard advertising space) but they do have land.” So he made a frame on an old wagon and the billboard went to parades, festivals and different farm locations. The first tangible benefit offered prospective members was a printed directory of farms and farm products. It required a huge effort by outstanding board members and supporters. One of the most satisfying projects ever. Covers of farm directories from 2002–2013. Interior of directory features a hand drawn map. Posters created for the RVGA History Exhibit at the Family Farm Festival have been installed at libraries, businesses and events. The posters became a small book a few years later. Written and edited by Susan Krawitz, with timeline by Alice Schoonmaker, and project management and image research by Debbie Biltonen. 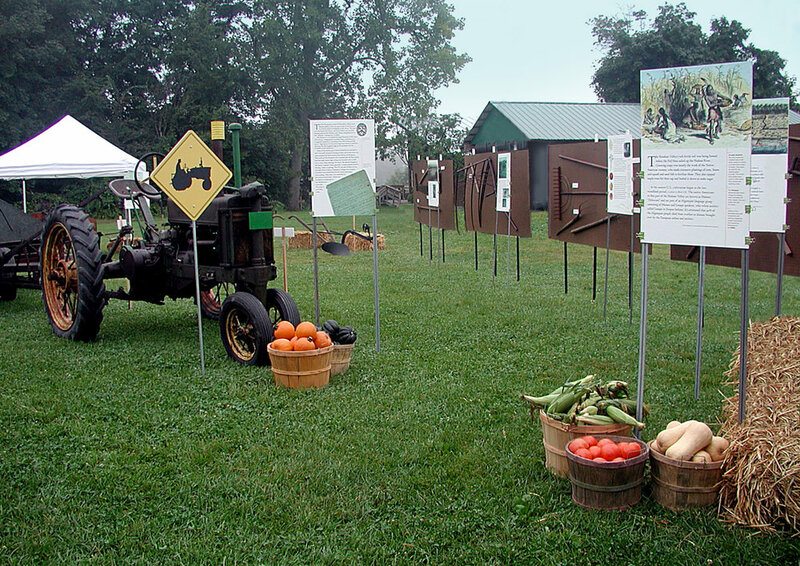 RVGA Local Farming History exhibit, Camp Epworth, 2006.